The Court of Appeal in Drywall Acoustic Lathing and Insulation, Local 675 Pension Fund (Trustees of) v. SNC-Lavalin Group Inc. recently determined whether, once leave to assert a claim under part XXIII.1 of the Ontario Securities Act (the “OSA”) has been granted, plaintiffs may later move to amend their claim under Rule 26.01 of the Rules of Civil Procedure without also obtaining leave under the OSA. The Court’s response was twofold: if the amendment is substantive and essentially involves a new misrepresentation, then the requirement of subsection 138.8(1) of the OSA must be satisfied, but if the amendments are not substantive, then only the requirements of Rule 26.01 apply. that SNC misrepresented certain conduct of two former employees related to SNC’s presence in Bangladesh. Over the course of the next two years, as ongoing criminal and regulatory investigations resulted in further allegations against SNC, the plaintiffs made multiple amendments to their Statement of Claim. SNC opposed the last round of these amendments on the basis that they required fresh leave under subsection 138.1(1) of the OSA, which ought to be refused because the amendments were statute barred by operation of the limitation period set out in subsection 138.14(1). In January 2015, the Ontario Superior Court dismissed the plaintiffs’ motion to amend on the basis that to decide otherwise would result in procedural unfairness to the defendants. In his decision, Justice Perell observed that “[o]btaining leave cannot be used as a procedural bait-and-switch tactic or as a procedural bait-and-pile-on tactic,” spurring legal commentators to query about the future impact of this decision on class actions. The appeal was allowed in part. The Court of Appeal held that certain of the proposed amendments related to misrepresentations that had not been previously pleaded and as such, had become statute barred. The non-substantive amendments were allowed to proceed. While it is too early to predict the effect of this decision on other actions brought under the OSA, the Court’s careful weighing of the purpose and objectives of Part XXIII.1 indicates that courts will be vigilant in ensuring that claims that are out of time are not “piggy-backed” onto existing allegations. This is consistent with the general principle enshrined in Rule 26 that amendments not tenable at law are prohibited. 2015 ONCA 718, 2015 CarswellOnt [“Drywall Acoustic”]. RSO 1990 c S 5. Ibid – see s. 138.3(1), which sets out that there is a right of action for damages for a person or company who acquires or disposes of an issuer’s security between a document’s release and public correction of a misrepresentation in the document, regardless of whether the person or company relied on the misrepresentation; see s. 138.8(1), which requires leave of the Court to commence an action under s. 138.3; and see s. 138.14(1), which establishes a three-year limitation period to commence the action, beginning on the date the document containing the misrepresentation was initially released. Drywall Acoustic Lathing and Insulation, Local 675 Pension Fund (Trustees of) v SNC-Lavalin Group Inc., 2015 ONSC 256, 2015 Carswell Ont 195 at para 7. 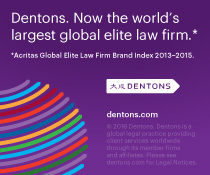 **This blog post was co-authored by Dentons’ Michael Schafler and Michael Beeforth. On August 27, 2013, Justice Perell released his decision (2013 ONSC 5490) approving three settlements valued at $10.85 million, bringing the class action against Zungui Haixi Corp. (“Zungui”) and others to a close. Under the approved settlements, Zungui will pay $8.1 million, auditors Ernst & Young (“E&Y”) will pay $2 million and the company’s underwriting syndicate (CIBC World Markets Inc., Canaccord Genuity Corp., GMP Securities LP and Mackie Research Capital Corporation) will pay $750,000. In an earlier May 2013 decision, Perell J. had certified the class action for settlement purposes in respect of the Zungui and E&Y settlements. As summarized here, the proposed class action brought by Zungui’s investors stemmed from an August 22, 2011 announcement that E&Y had suspended its audit of Zungui’s 2011 financial statements. The company’s shares immediately dropped by 77% and were subsequently cease-traded. The proposed class was comprised of various groups of investors (each represented by separate counsel), including purchasers in the initial December 2009 IPO, investors who received shares in exchange for securities of a Zungui subsidiary prior to the IPO, and secondary market purchasers. The proposed plan of distribution under the settlements allocated various levels of compensation to the investor groups depending on, amongst other factors, when investors acquired or sold their shares. The plan did not, however, contemplate any compensation to class members who acquired shares on or following the August 22, 2011 E&Y disclosure (though the settlements included a release of these class members’ claims). One investor who had purchased his shares on August 22, 2011 objected to the fairness of the plan of distribution on the basis that the August 22, 2011 disclosure “[did] not clearly foreshadow the events that followed” and that “there was no way of knowing that the worst possible outcome would come to pass, with investors unable to trade their shares ever again”. In considering whether the plan of distribution was fair and reasonable, Perell J. noted that if class members such as the objecting investor had appreciated that the parties had only included them in the class as a bargaining chip and would eventually exclude them from the plan of distribution while releasing their claims, those investors would likely have opted out of the class action. As it stood, Perell J. found it “inappropriate and unfair to include August 22, 2011 purchasers as Class Members and then exclude them from the Plan of Distribution”. He thus revised the plan to include August 22, 2011 purchasers but discounted their claims to reflect the increased risk of their investments. While the precedential value of this decision is likely limited by the fact that the court’s authority to vary the plan of distribution was expressly provided for by the settlement agreements, Perell J. made it clear that he would not have approved the settlements without this authority. Perell J. also noted that s. 26 of the Class Proceedings Act, 1992 provides the court with ample discretion and scope for creativity in determining or approving a plan of distribution where a judgment has been issued. Based on these comments, class counsel would be wise to expressly advise settling class members of the court’s ability to vary distributions, especially in cases involving objecting class members or other potential fairness concerns.